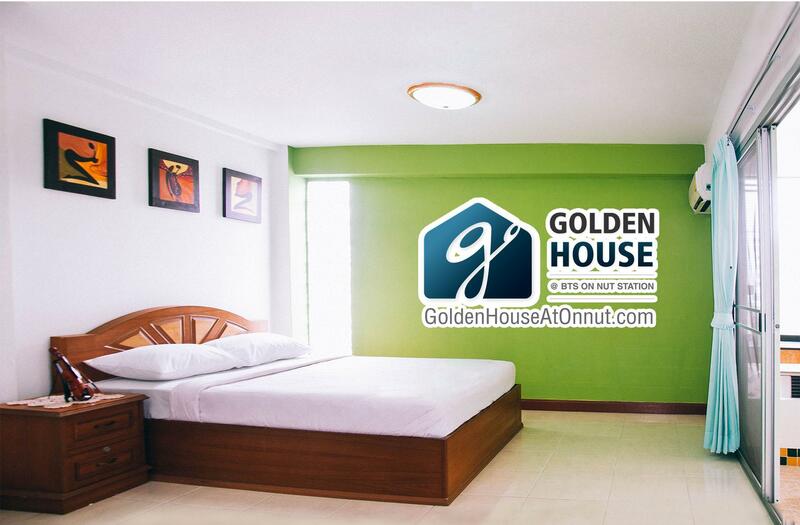 ﻿ Golden House @ Onnut Station, Bangkok | FROM $20 - SAVE ON AGODA! Have a question for Golden House @ Onnut Station? 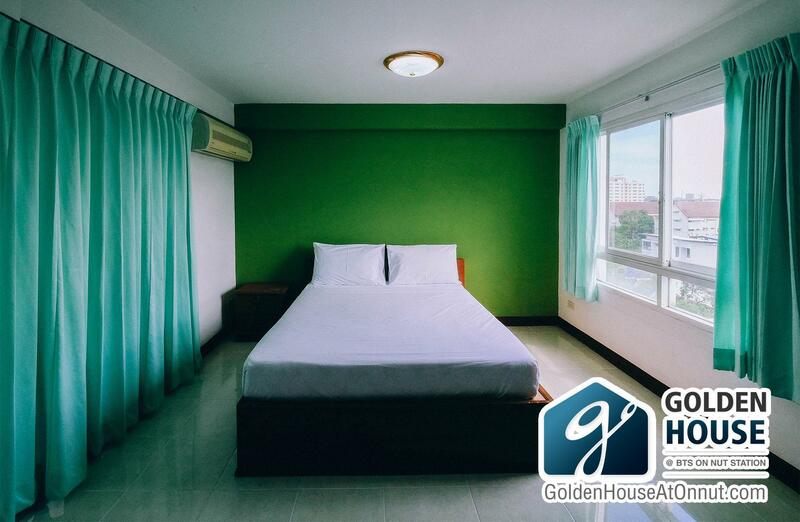 Whether you're looking to stay busy while out and about or chill out while staying in, look no further than this house in Sukhumvit, Bangkok. This Bangkok house is near Tesco Lotus Sukhumvit, HOF Art Space at W District, On Nut Market, W Market, and QiSS Mall. It has numerous convenient features, such as shops and a smoking area. There's free Wi-Fi in all rooms, as well as Wi-Fi in common areas, ensuring that visitors are able to contact their loved ones without overspending on international charges. With daily housekeeping and laundry services, this house has a variety of useful services for you to utilize. It offers check-in from 02:00 PM and check-out until 12:00 PM. On Nut BTS Station is 530 m away and Bangchak BTS Station is 1.3 km away. The nearest airports are Suvarnabhumi International Airport (BKK) and Don Mueang International Airport (DMK), which are located 16.9 km and 23.5 km away. "The staff here really go that extra mile to make you feel we..."
Reception is open from 09:00 AM to 06:00 PM. Guests arriving outside these hours are requested to contact the property directly prior to arrival so alternative arrangements can be made. So many online reviewers like to complain about what was not available. So if you hanker for a swimming pool, jacuzzi, business centre, or a room-maid who quotes T.S.Eliot and Shakespeare, this is not the place for you.. It is a well-kept, inexpensive, apartment building, within an easy (luggage-free) walk of Onnut BTS station. Not only would I recommend it to a friend, but I will be back on my next visit to Bangkok. The price could have been a little bit cheaper given that there is no facility like gym or swimming pool. Not clean. Dirty room on check in. We needed somewhere to stay near On Nut BTS and found this hotel on Agoda. It was relatively cheap for the area so wasnt expecting much. The staff here really go that extra mile to make you feel welcome. We had our 18 month daughter with us and nothing was too much for them. Always smiling and friendly and willing to help out with whatever they could. The hotel itself is a little old but they look after it and ensure that your room is always cleaned each day. It is only a short walk to Tesco and On Nut BTS but if you want to go further away then the staff will happily get you a taxi. Will undoubtedly return to this hotel. Really good value for money. I stayed a couple days. Room was a good size had a king size bed. A/C and water heater all worked well fairly new place. Vicino alla Bts, staff affidabile e gentile. Posto accogliente, buona pulizia, wifi efficace. Mi ci trovo sempre bene. Non è un Hotel, sono serviced apartments con servizi e security. Quindi niente ristorante. La struttura è accogliente, tranquilla e si trova a 400 metri dalla Bts di On Nut. E' una sistemazione adatta per le lunghe permanenze, le stanze sono grandi ed in buone condizioni. Lo staff è gentile e disponibile. Sono stato diverse volte e mi sono sempre trovato bene. Det ligger lite avsides, inte helt lätt att se skylten från vägen. Lugnt område ca 10 minuter promenad från BTS On Nut, men smidigt att ta mc-taxi.